A massive, 200-pound chain. A ’90s-era snowboard. These were just a couple of the more peculiar items removed from Sierra-at-Tahoe during the annual Keep Sierra Clean Day on Sunday, Oct. 22. 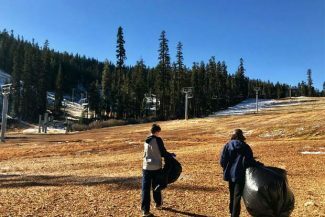 A total of 300 attendees cleaned up more than 3,480 pounds of trash from the snow-free slopes ahead of the 2017-18 season, according to Sierra-at-Tahoe. Several cellphones were among the notable finds during the cleanup. Sunday’s event was quite an improvement over the previous year, when volunteers collected 1,700 pounds of trash. 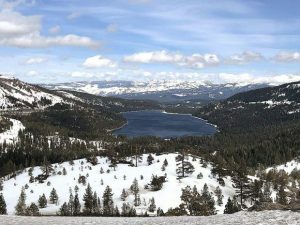 Attendees celebrated afterward with food, drinks and prizes, provided by Sierra-at-Tahoe.